To be a renowned provision supplier in the Asia Pacific Region and to provide a superior customer service for the Shipping Companies, Wholesalers, Supermarkets, Institutions, Hotels and Airline companies. Started out as an ice-cream distributor in the 1960s. The founder of the company, the late Teo Boon Thong, started out as an ice-cream distributor in the 1960s. By 1978, the company was incorporated as Teo Soon Seng Trading and it operated as a dairy supplier to the ship chandlers. 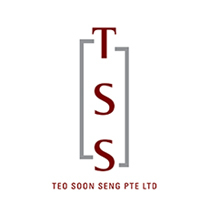 In 1994, the company became a private limited company, Teo Soon Seng Wholesale Pte Ltd, with a paid-up capital of S$500,000. 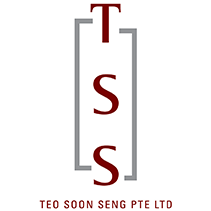 Thereafter, the company was renamed to Teo Soon Seng Pte Ltd (hereinafter known as “TSS”). Today has grown into an international one-stop provision supplier offering more than 3,000 different types of provision supplies to buyers around the world. TSS is an acknowledged regional leader in the provision supply industry. Key personnel posses more than 10 years of working experience from various related industries. Reliable 24 hours a day service operation. Given Singapore’s profile as a strategic shipping hub for commerce, the decision to operate 24 hours daily was to facilitate greater convenience for the international customers. Staff members of TSS are well trained and knowledgeable about TSS wide range of provision products. The TSS staffs undergo regular upgrades of the industry knowledge through company sponsored courses. Key members of the TSS staff posses a minimum 10 years industry experience. Try shopping online using our own eCommerce and get a good credit terms!